This Call of Duty Blackout page outlines the download size and explains how to install the game on PS4, Xbox One and PC. It's no secret that Call of Duty Black Ops 4's Blackout mode was created in direct response to PUBG and Fortnite's enormous success. When it was first announced, many laughed it off as just another tacked-on Battle Royale clone that wouldn't bring anything original to an already over saturated genre. Well, turns out Call of Duty's a perfect mould for such a mode. Sure, it doesn't bring anything particularly groundbreaking to the Battle Royale formula, it competes with the big names because it has that impeccable Call of Duty polish. The gunplay feels lovely and weighty, and Blackout's seen by many as a PUBG equivalent that actually runs well (!). There are just enough differences between them to leave us confident that this has some staying power. If you're itching to get stuck into the game now that all your friends are playing, then you'll want to know the download size and installation process to make life a little easier. Well, you've come to the right place. We've got details on how to get the game up and running, whatever platform your're playing on. We can’t place an exact number on the download sizes for both console and PC because they’ll differ depending on what region you’re in. The game will also be patched continuously post-launch, so expect these number to rise over time. Call of Duty: Blackout isn’t a standalone title but a Battle Royale mode of Black Ops 4, and so you’ll need to search for and purchase the game in order to gain access to it. Below we’ll take you through the process of how to get the game installed on your system. Assuming you haven't bought a boxed copy, go to the PS Store via the main menu. Type ‘Call of Duty’ into the search bar and click on Call of Duty: Black Ops 4 when it appears in the suggestions box to the right. Once you land on the official page, simply click the download button and your PS4 will do the rest. If you’ve not already purchased the game, you'll need to do so at this point. You can check the progress of your download by clicking the notifications icon in the main menu. 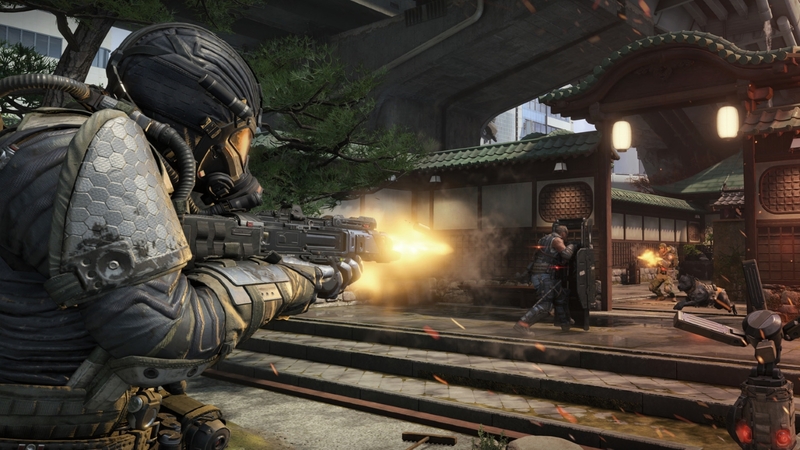 On your home page, navigate to the search bar and type in ‘Call of Duty’. The suggestions bar at the top of the screen will now suggest a load of Call of Duty games. You want Call of Duty: Black Ops 4. Simply click install and your Xbox will get the game downloaded, installed and ready to play! If you’ve not purchased the game, you’ll be prompted to do so in the step above. It’s simply a case of following the instructions on screen. First of all you’ll need to get the Battle.net Desktop App if you haven’t already got it on your system. To find it, simply go to the official Battle.net App page and click the “download for Windows” option. If you’ve never owned a Blizzard game, you’ll next need to create a Blizzard account. Follow the steps you're given once you’ve got the desktop app installed. When you’ve logged in, look to the tab on the left side of the app and you’ll noticed “Call of Duty: Black Ops 4” in the mix. From here, simply click “install” if you’ve purchased the game already and this will automatically do the job for you. If you’ve not purchased the game yet, click purchase and follow the instructions on screen to buy Black Ops 4. Once you’ve done so, follow the step above.